If you’re seeking reliable, safe transportation for your next corporate outing, look no further than Boston Charter Bus Company. We understand that your teams may vary vastly in size, so when you book with us you’re given the freedom to select larger, 56-passenger charter buses or smaller 18-passenger minibuses, based on your specific needs. Make sure your team is fully equipped to succeed and book with us today at 617-314-7577. When it comes to business, time is always of the essence. When you have to get your employees someplace quickly and there’s no time to waste, a private coach is your best option. With access to a fleet of fast, safe buses and professional, knowledgeable drivers, we’ll streamline your employees’ commute to any destination. Advanced booking allows us to plan a route that is tailored best to your schedule, so you’re able to avoid heavy traffic and unnecessary stops. There’s nothing worse than showing up to a convention late or missing one altogether; when you book with Boston Charter Bus Company, we’re able to lock in your reservation in two hours or less to ensure your team stays on schedule. Although speed and efficiency are two of the most important factors to consider before a business trip, comfort is equally as important. Make sure that your employees are well-rested and relaxed during extended trips by booking a private coach with customized amenities. When you call in, don’t be afraid to ask about a number of exclusive amenities, such as reclining seats, flat-screen TVs, climate-controlled cabins, DVD players, and luggage bays. If your team has a flight to catch, you can also arrange for a shuttle service to and from the airport. Upon request, Boston Charter Bus Company will pick your employees up directly from your office and drop them off at Logan International Airport. From there, you can arrange for a separate shuttle to pick your team up in the destination city and head to their hotel or conference center. 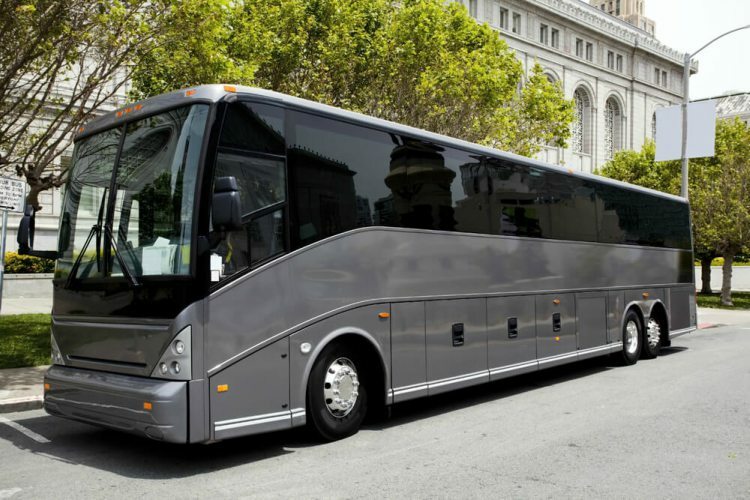 Make Boston Charter Bus Company your one-stop-shop for corporate transportation services. Boston Charter Bus Company makes it easy for you to keep business moving while you’re on the road. When you book a bus, you’re able to request amenities such as WiFi, PA systems, and power outlets, all of which enable you to stay connected with your online community. Watch the news, surf the web for industry updates, follow up on your emails, and work on projects, all while en route to your destination. For companies headed to a convention, trade show, or demonstration, you’re even able to pack important office supplies and presentation equipment to help you close the deal. Request overhead storage compartments and luggage bays so you can bring as many items as you need to prep your team. If you’re ready to get moving, call us today at 617-314-7577 to learn more about the services we provide. We've also developed a helpful pricing page to give your group a reference for pricing. When you speak to a reservation specialist, you’re given a free quote as well as the option to request exclusive amenities. Don’t waste another minute, find out how we can help you right now!